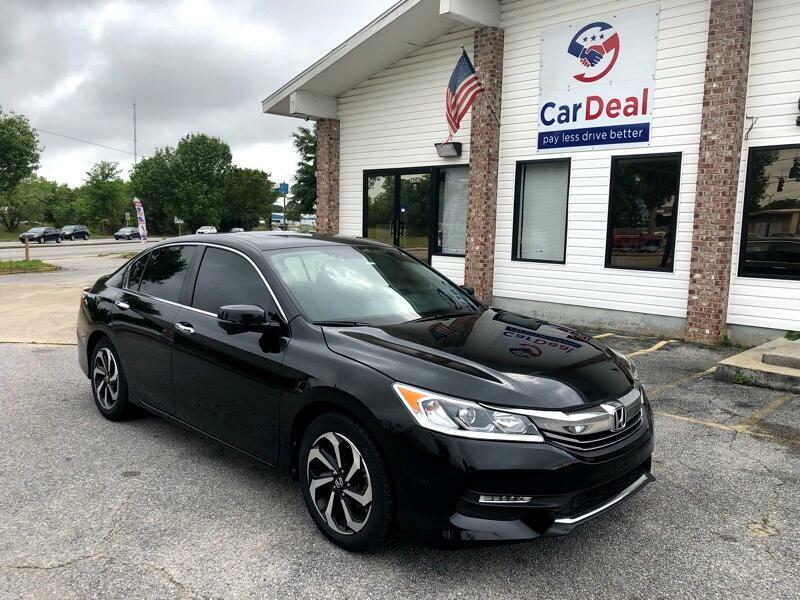 2016 Honda Accord EX with 17-inch wheels, LED daytime running lights and foglights, heated mirrors, automatic headlights, LED taillights, dual-zone automatic climate control, full power accessories, cruise control, Bluetooth phone and audio connectivity, a rearview camera, a tilt-and-telescoping steering wheel, a sunroof, keyless ignition and entry, remote ignition, the eight-way power driver seat, a one-piece folding rear seat, Honda's LaneWatch blind-spot display, a six-speaker sound system with a 7-inch touchscreen interface, satellite and HD radio and a second USB port. Also standard is smartphone app integration via HondaLink, Android Auto and Apple CarPlay with Siri Eyes Free voice command functionality. We provide free full coverage warranty! Military and student discount!